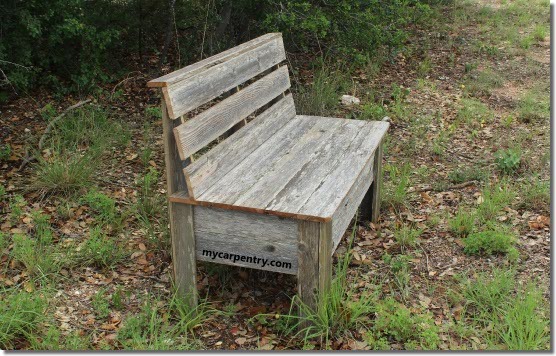 These rustic bench plans make use of some old fence boards that would have otherwise ended up in a landfill. 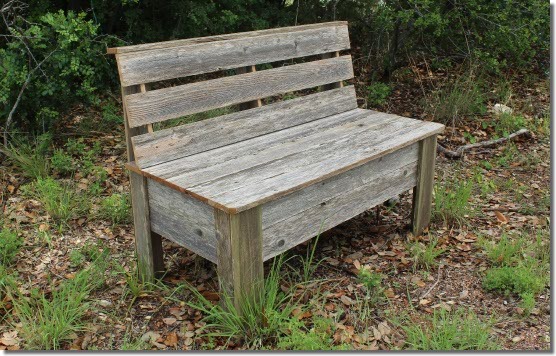 This bench was built exclusively from weathered 1x4 western red cedar. * To provide about 1 1/2" of overhang on the front of the bench, I made the base 18" because the seat boards were slightly under 4" wide. I did not want to have to rip the seat boards to provide the 1 1/2" overhang. Assemble the four parts of the upper and lower base sections. Place one section on top of the other and secure them together using the 6 base blocking pieces placed on the inside front and back and corners of the two sections (see diagram below). 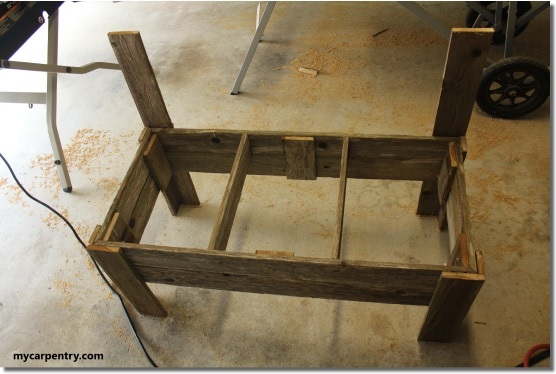 Add the seat joists with even spaces between them on each side. Attach the side leg supports (4) flush to the top of the bench base, and flush to the front and back of both sides of the bench. Attach the front legs (2) flush to the top of the bench base and flush to the outside edge of the side leg supports. Attach the two outer back legs, flush to the bottom and to the outside of the back leg supports. 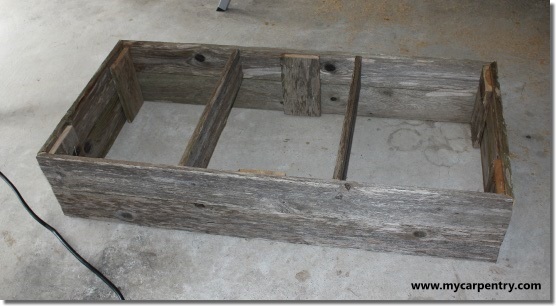 Add the seat boards starting from the back of the bench and working towards the front. Center each board so that they overhang the same on each side. Add an additional back leg centered between the two outside back legs. Add the tapered back pitch boards as shown in the picture below. Add the bottom back rest board holding it tight to the top of the seat. Add the upper back rest board flush with the top of the 3 back legs. Add the center back rest board so that it is centered between the top and bottom back rest boards. Finally, add the 3" wide top back rest board and nail it to the upper back rest board and the top of the back legs. Make sure that it is flush on the front as shown in the picture below. 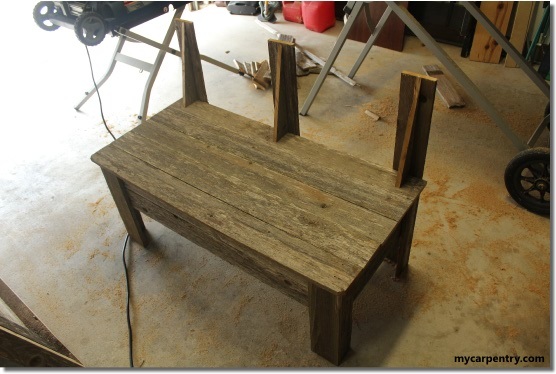 If you have any questions about these rustic bench plans, please do not hesitate to contact us.